For specialized high-voltage circuit breakers on-demand, Equisales is an efficient on- and off-site partner. We are here to help clients secure substation breakers for power plants and distribution properties located anywhere around the globe. Multi-generation technology allows developers to replace existing equipment, outfit fast-track projects and upgrade existing build-out sites quickly. With our proprietary database, capital resources and extensive supply network, it is easy to find high-voltage circuit breakers with exact specifications. For custom requests during fast-track projects and emergencies, we can source quality components with shipment and delivery dates before key deadlines. Clients can order substation circuit breakers that match precise voltage and current ratings and have them delivered to the field directly and quickly. In-stock products manufactured by leading brands are available for immediate shipment. For updates, upgrades and fast-track builds, Equisales supplies mission-critical circuit breakers, reclosers and switchgear components. View our current inventory of high-voltage circuit breakers, or have us find a unit that meets your specs. We stock and supply a wide range of circuit breakers for multi-voltage substations and industrial applications. With multiple current ratings, excellent short circuit capabilities and capacities ranging from 3 to 550 kilovolts, it is possible to find in-stock equipment that meets all engineering and design specifications. Our inventory includes circuit breakers that use these arc-quenching technologies. Specialized products and industry leading services allow Equisales to develop site-specific solutions for clients in the industrial and energy verticals. Our units provide gas filling and reclamation services for SF6 circuit breakers as well as leak detection and repairs for gaskets and bushings. 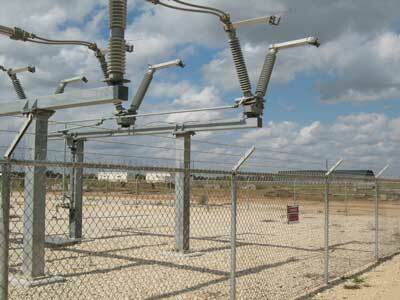 Our range of equipment is not limited to high-voltage circuit breakers. We also supply transformers, switches and components that can work together in a robust switching plan. Equipment that supports manual and automatic use by local or remote operators is available for all fast-track projects. From installation to assembly and testing, our field units and electrical specialists are qualified to take fast-track projects from inception to completion. Our mobile team members can complete tasks off-site and in the field to aid in the construction of gas- and air-insulated substations and other high-voltage sites. We are also available for late-stage intervention and planning phase consulting. From traditional oil-filled circuit breakers to compact dead and live tank models with multiple interruption time cycles, we supply the products that independent power producers and global leaders need to complete fast-track and long-term projects quickly and successfully. Contact our Houston office at 713-733-3999 to check product availability or to request high-voltage circuit breakers for your next project. Our professionals are available 24 hours a day to fulfill your time-critical requests.